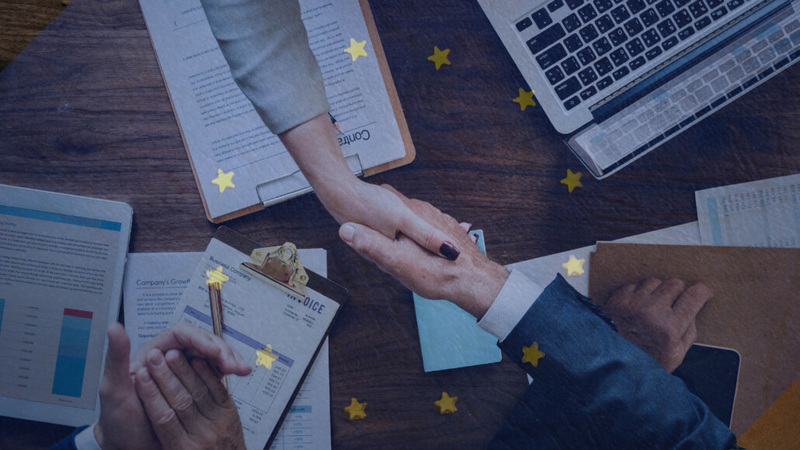 Considering that codetermination in the digital area is often still in its infancy, CEC investigates as a project partner the role of European Works Councils in the digitalisation of multinational companies and their potential role as model. In another project with the think tank CEPS, CEC enquires how “traditional” social partners and new actors react to the sharing economy. On that basis, CEC European Managers has conducted a European-wide survey, in the framework of the European Managers Panel, on management in the digital era. It has unfortunately shown that the digital transformation is often not used to (re)position the organisation strategically and to shape the technological development of the company together with employees, customers and external partners (fig. 10). The technological development cannot be considered in isolation, as innovation can only be stimulated through human creativity, cooperation and visionary leadership. The results show that work needs to be made in the domains of individual leadership skills, working conditions and strategic orientation. 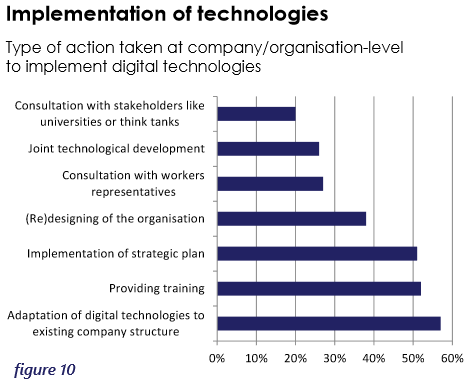 Nevertheless, more than half of respondents indicated that their company is providing trainings on digitalisation (fig. 10). Codetermination on company-level and a more inclusive and diverse social dialogue can contribute to finding innovative solutions to shape the digital revolution. However, managers have to identify their own individual and collective margins of action – despite or because of the introduction of IT management systems, partially automating decision-making processes. Responsibility in digital times is not disappearing, but becoming more complex and thus requiring the elaboration of common solutions, adapted to the specific context. For all that, the individual responsibility and decision remains foundational in the end – no robot can answer ethical questions for us. Members’ News 102 State of the Union: making Europe great again?